Jim Shore's handcrafted Coca-Cola collection is drawn from the brand's classic advertising campaigns. 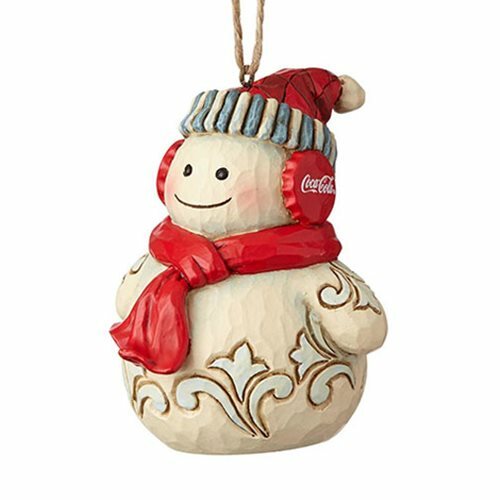 This hand-painted snowman makes a sweet addition to trees of any size, with bottle cap ear muffs and a pleasant smile that will melt hearts on either Pole. 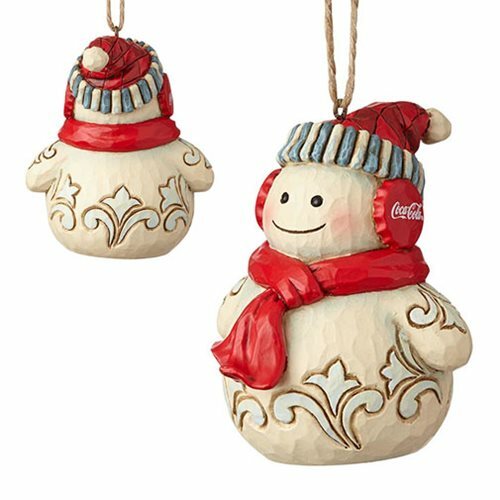 The Coca-Cola Snowman Ornament by Jim Shore is sculpted from stone resin with whimsical rosemaling motifs. 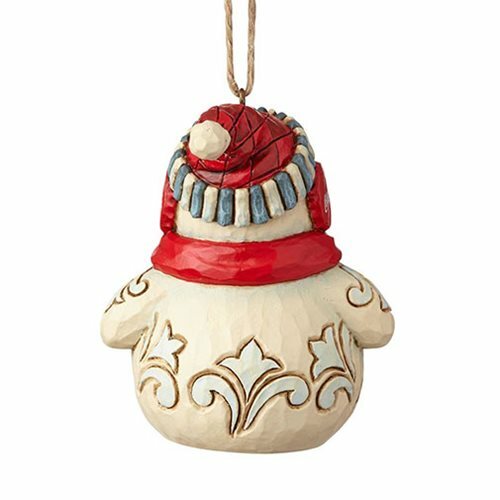 Measures about 3 1/10-inches tall x 2 7/8-inches long x 2 3/5-inches wide.